PAW Patrol Live: Race to the Rescue! No job is too big, no pup is too small! Nickelodeon and VStar Entertainment Group present PAW Patrol Live! 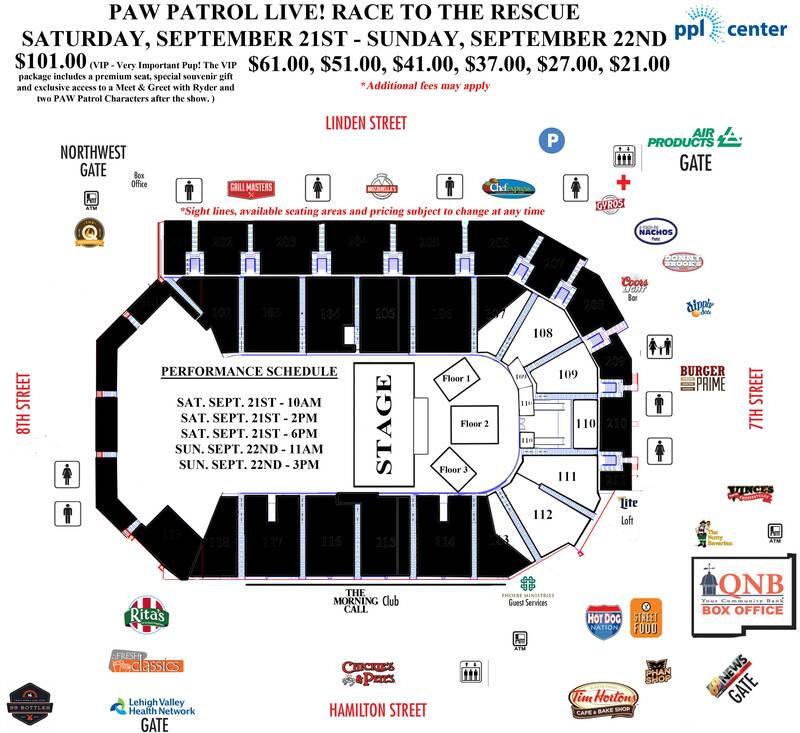 “Race to the Rescue,” an action-packed, music-filled production, presented by Pedigree. The heroic pups from the top-rated animated preschool series PAW Patrol, produced by Spin Master Entertainment, will visit PPL Center on September 21 & 22! Tickets for all five performances go on sale to the public on Friday, April 26 at 10:00 a.m. and can be purchased at the QNB Box Office, PPLCenter.com, or by phone at 610-347-TIXX .